Often, you don’t realize what you have because of Christ. Through faith in him, you not only receive eternal life, but you have what you need for the here and now. 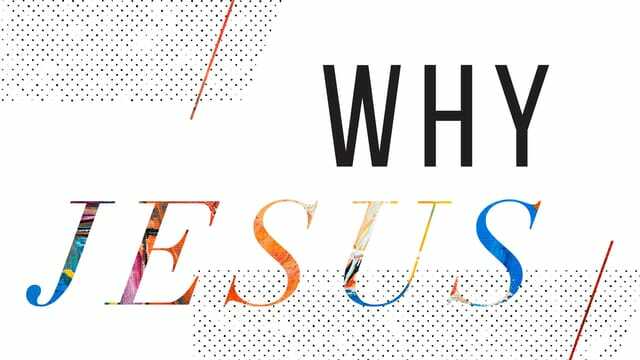 Join us for the new series, Why Jesus. Let's discover why Jesus is enough. The Serve Board is here! Stop by the lobby before and after the services this Sunday to see what volunteer opportunities are available! You could make a huge difference in an area of your choice—guest services, kids programming, production, and more! Staff will be there and ready to help you find your best fit. Let's serve together! http://www.theridge.church/singlesseries Beginning Monday, February 25—Single adults of any age are welcome to a three-week series, Dating to Marriage. This series will include a time for worship and group discussions about developing healthy relationships and living out your faith. The course is FREE, and will be held on three consecutive Mondays. Sign up online! http://www.theridge.church/fpu Wednesday, February 27—We all need a plan for our money. This life-changing class will help you achieve your goals financially by showing you the best steps to eliminate debt, save for the future, and give like never before. The first session on February 27th is a FREE introductory class with no obligation. Find more information online. http://www.theridge.church/feedwv March 10–31—The Ridge is partnering with Mountaineer Food Bank and Christian Help to be a part of the solution to hunger, and to Feed WV. Bring your non-perishable food donations to the church from March 10th through 31st. All donations will be distributed statewide to those in need. To find out more, visit us online. Problem: We don’t realize that our faith is only as good as the object in which it is placed. Solution: Because of who Jesus is, we can trust him completely. Today's Takeaway: Because of who Jesus is, we can trust him completely. “…Christ is the perfect visible representation and manifestation of …God. [The word image] eikōn means the very substance or essential embodiment of something or someone."